Sartorius showcases the endless possibilities and range of the drum kit. 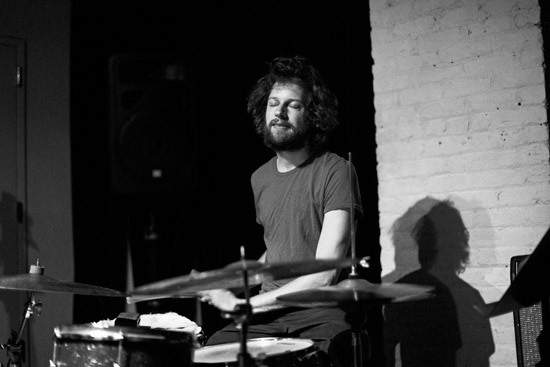 Often edited his toms and cymbals to develop so unusual and impromptu acoustic sounds. This provides an unprecedented environment of sounds. Both solo and in groups Sartorius knows to overwhelm with his unique sound. He was taught by Fabian Kuratli, Pierre Favre and Norbert Pfammatter at the conservatories in Bern and Lucerne. And worked together with Sophie Hunger, Colin Vallon, Dimlite, Merz, Jürg Halter and Rhys Chatham.